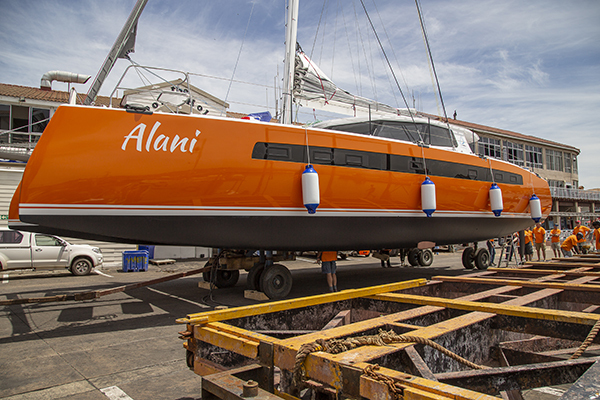 Balance Catamarans and The Multihull Company are pleased to announce the launch of Balance 526 Hull #6 “Alani” in Cape Town, South Africa. The Balance 526, which won Cruising World’s Import Boat of the Year in 2017, is looking truly amazing with her sharp, wave piercing bows, and her eye-catching orange hulls. Following a celebratory launch party, the owners will set sail for Grenada where she will remain for the winter. With Balance 526 Hulls #7 and #8 expected to launch later in 2019, and hulls #9 and #10 following suit in early 2020, it is going to be an exciting year for Balance Catamarans in South Africa. With her sharp, wave piercing bows, and her beautiful eye-catching orange hulls, she is sure to turn heads everywhere she goes. 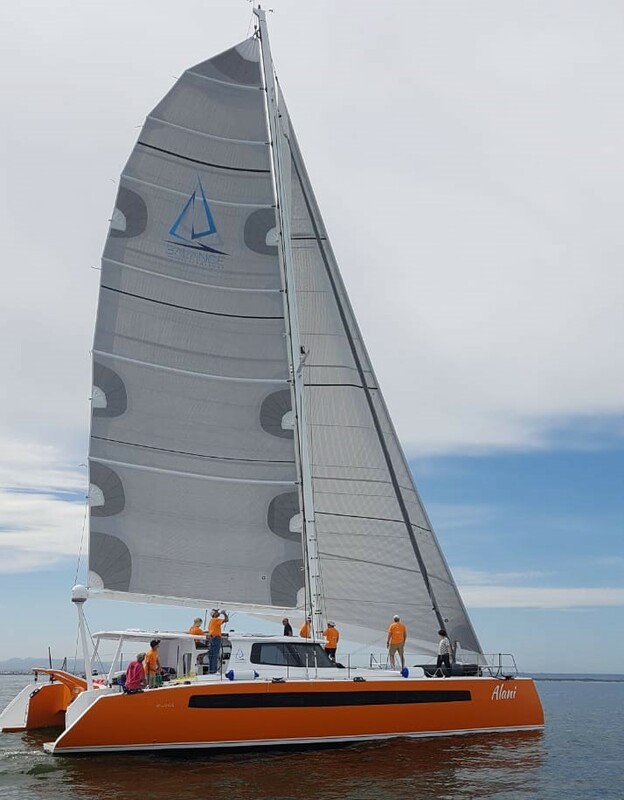 Congratulations to her new owners and to the special team at Balance Catamarans South Africa for building a truly remarkable boat! The initial inspiration for the Balance 526 arose from our passion to design and build, from the ground up, the finest performance voyaging catamaran ever conceived for a couple or small family who really want to go places in speed and comfort yet carry significant cruising payloads. We set out to design the 526 to be simple to operate, to maintain, and enormously gracious to live on. We’re proud to say that the design was a success, as the 526 won Cruising World’s Import Boat of the Year in 2017.